I was so lucky this Christmas! My loved ones totally spoiled me. We are really into Christmas and love giving gifts. I finally got a chance to photograph some of the lovely things I was given to share with you guys. 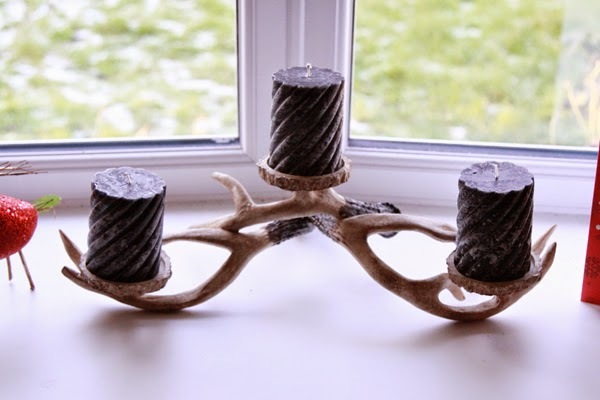 This amazing candle holder was a gift from my parents. We saw it when we were in Chester earlier in the year and were so pleased when someone agreed to get it for us for Christmas. It's such an unusual statement piece! It's front and centre in our bay window in the front room and I love it so much! 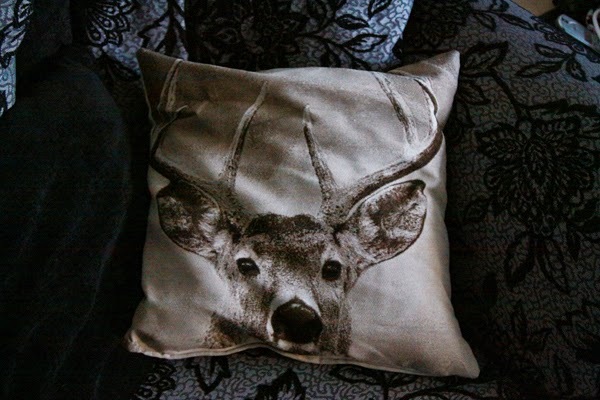 My brother and his girlfriend Jess got us these amaaazing stag head pillows! I love them so much! They got us two of each, so one of each is on each sofa and they look so cute. They are really soft and beautifully made. 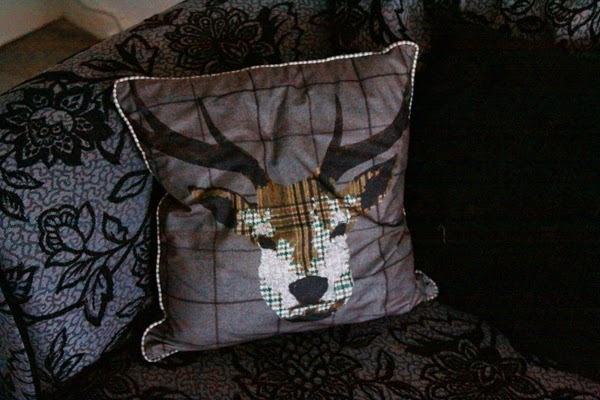 Such a thoughtful gift featuring one of my favourite things, stags! I could not believe it when we opened this. Our adorable friend Chacha got us a Pyro Pet! If you haven't heard of these, go check out their website. 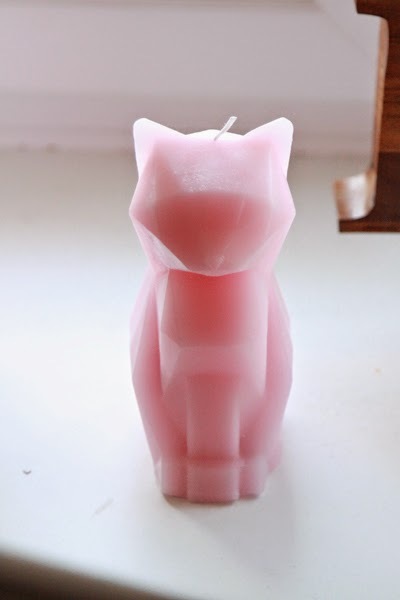 As these candles burn, they reveal a cat skeleton underneath!! I can't wait to burn it and see the process. So amazing. My Uncle made us this! How cool is that? 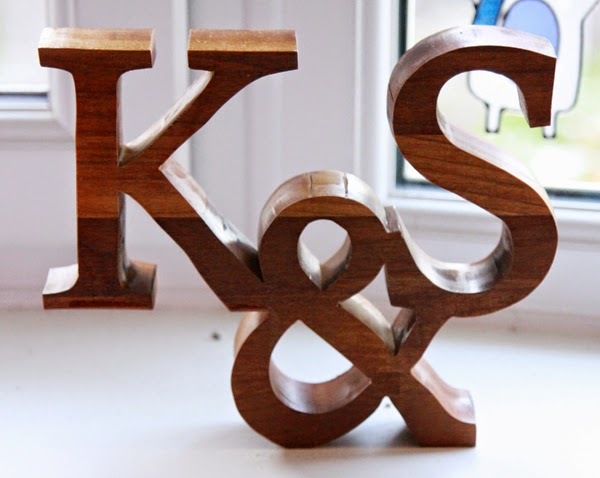 He is really into woodwork, and carved this for us out of some beautiful wood. Having something handmade is so special, thank you Rob! My Auntie and Uncle also got me this stunning Rosa Pietsch necklace. The design on this is so intricate and lovely. It's really different and I've already asked for more from Rosa Pietsch for my birthday in February. 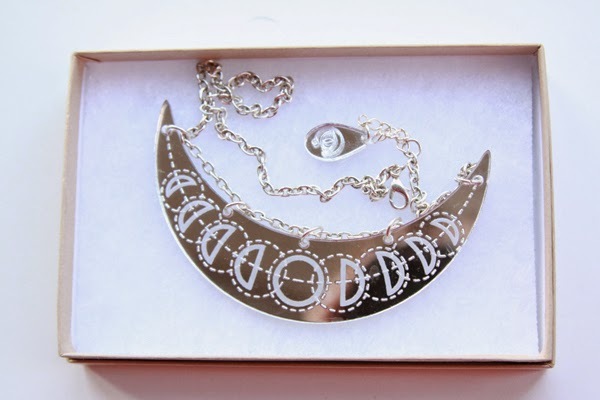 I love the lunar theme that is throughout Rosa's designs. 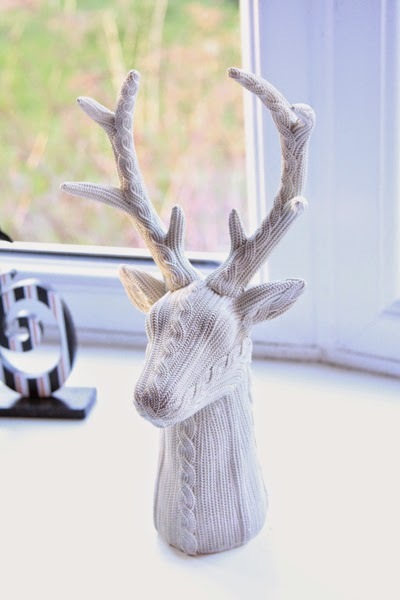 There may be a slight stag theme to my Christmas presents... This adorable ceramic stag's head is from my friend Max. It was totally unexpected, and so wonderfully me. Thank you Max! He looks like he is knitted, but he's actually totally solid, I love the style. How amazing is this?! 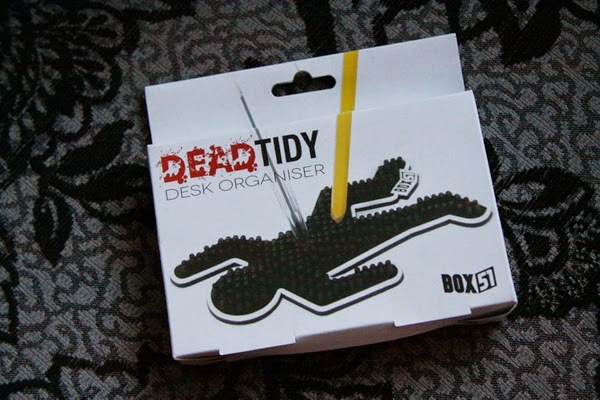 My Nanna got me this 'Dead Tidy' for my desk at work. He's so awesome!! You stab the pens into him to keep your desk clean. I love him! This was been on my Sugar & Vice wishlist for such a long time. 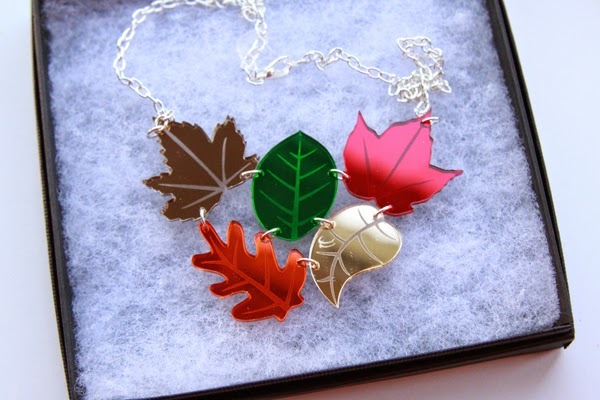 I love the colours of autumn, and the mirrored acrylic used in this necklace are perfect for it. My Auntie is really great for helping me support small businesses. Don't forget, you can still support their Indiegogo campaign to help them get back on their feet after their recent fire! 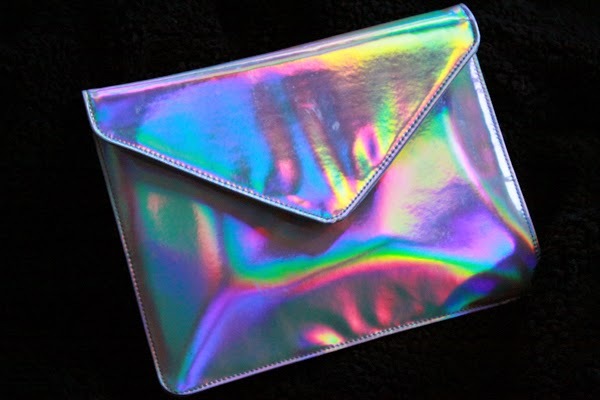 This hologram clutch from ASOS is lush. The colours as it moves in the light are wonderful. It's a really good size for fitting my wallet, keys, lipstick and phone in. Thanks Nanna! 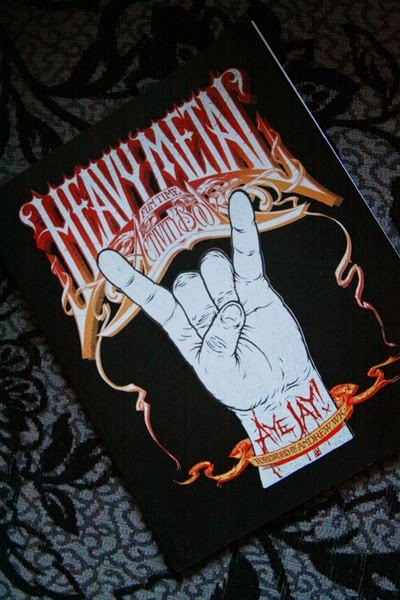 Stu's brother Simon got me this badass Heavy Metal activity book! It's hilarious. From 'Join the dots on Lemmy's face' and Satanic Sudoku this is awesome. 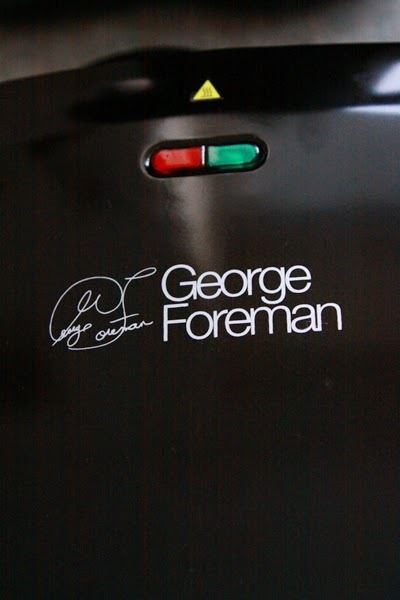 Stu's Mum got us a George Foreman! We've wanted one for ages, and she bought us one. Thank you so much! 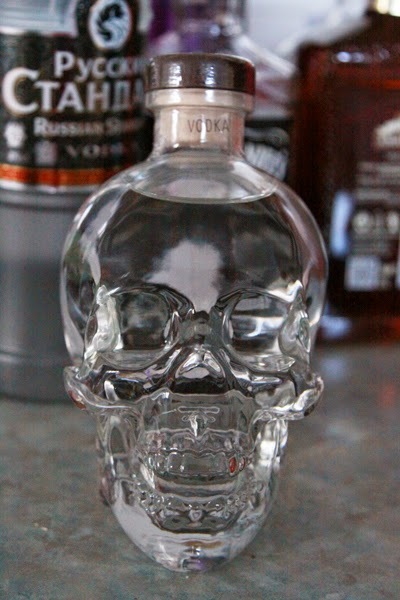 Stu's brother Simon and his girlfriend Claire also got us this amazing Crystal Skull Vodka!! It's bloody amazing. I wish I drank. 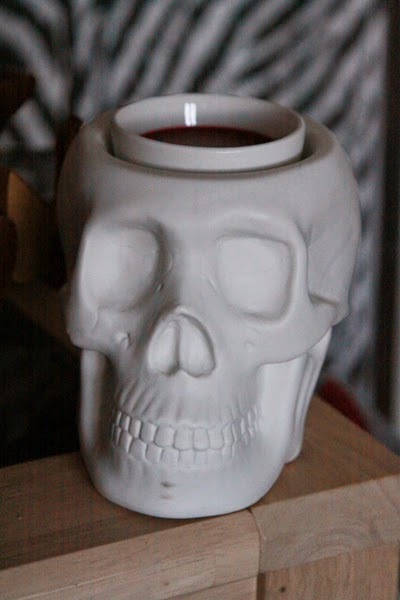 However, I am going to encourage Stu to drink it so I can reuse the skull as a vase or something. 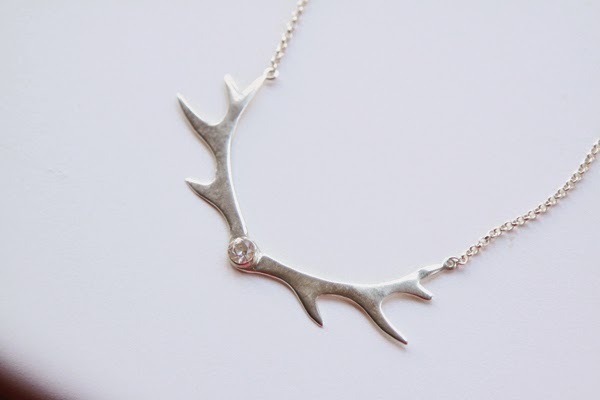 My Mum got me this Crystal Antler necklace from BloodyMary Metal. I featured it on my blog a while ago and she is sneaky and got me it after seeing that. Sneaker! It's a lovely length and perfect to wear with so many of my outfits. 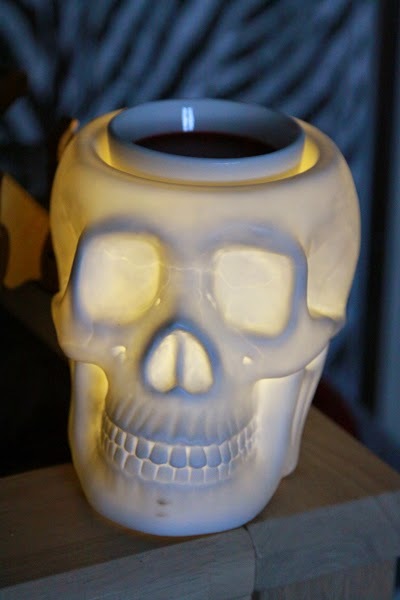 My Mum has had a Scentsy burner for a while and kept recommending we get one, so instead she got us this skull one for Christmas. Much like a traditional candle burner that you put wax tarts in, this takes little wax cubes that smell divine and it lights up while it warms the tart. It's so cool! The scent is quite strong, so you only need half of one of the little squares you buy, which means a pack of 8 is actually 16. So it's gonna last ages! 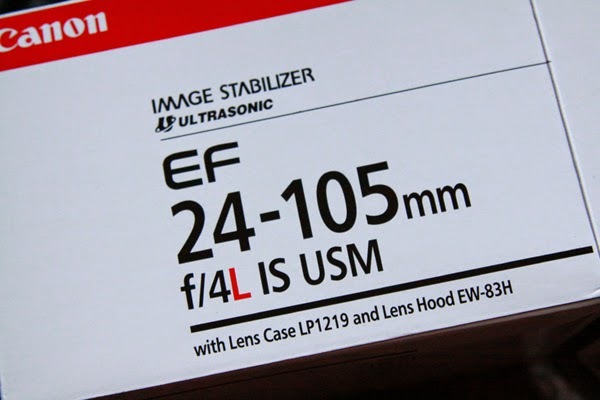 My parents also spoiled me with this unbelievable new lens. I took all the photos on this blog with it and love it already. The quality is amazing and it's so sturdy, you can feel the quality of the glass from the weight of it. 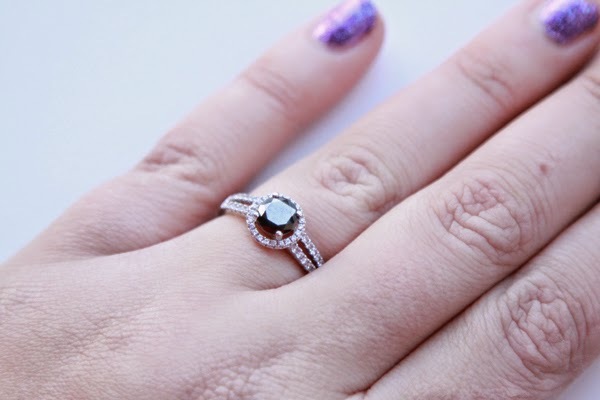 And the final, and totally best present, my engagement ring from Stu. It's so gorgeous and I am on such a crazy high still! I'm gonna get married to the man of my dreams!! I love you Stu!! Best day of my life so far. I hope your Christmas was fantastic too, and that you have an amazing new year. Such a fun day and just love these pictures you shared! These were our favorite!